The city of Arlington, Texas has put forward plans to build the country’s largest eSports stadium, announcing the move today in a joint statement with global architecture studio Populous and Esports Venues, LLC. If everything goes as planned, the Arlington Convention Center will be converted into a 100,000-square-foot, eSports-exclusive arena rebranded as Esports Stadium Arlington. While eSports are rapidly growing in popularity in the U.S., high-profile events have typically been held in established sports venues and lack the dedicated destination stadiums that their more physical counterparts can claim. Populous is known for its more traditional sports architecture projects, but the collaboration makes sense, especially as the firm released a proposal for a speculative “esports venue of the future” at 2017’s South by Southwest (SXSW). Through a $10 million investment, Arlington and Esports Venues will transform the convention center into a new stadium that can seat up to 1,000 spectators. The transformed stadium will also hold gaming, retail and social spaces, as well as a broadcast studio and VIP hospitality areas. Besides being the country’s largest eSports venue (Blizzard had launched their own smaller project in October of last year), Populous and Arlington are pitching the new stadium as a model of adaptive reuse that other convention centers and stadiums around the country can follow. Arlington is banking on the growth of eSports to fuel demand at the new location, as the funding for the project is expected to be paid through event revenue, naming rights and lease payments from Esports Venues. It’s not a dangerous wager, either, as the value of the global esports industry is expected to grow to $1.5 billion by 2020­, and dedicated eSports venues have been popping up across South Korea and China for years. Designing an eSports stadium does present a few unique opportunities, according to Brian Mirakian, senior principal at Populous, especially as matches could potentially run for several hours at a time. “Because of the length of the event, the way that we see the concourse environments in traditional venues is mainly for circulation. 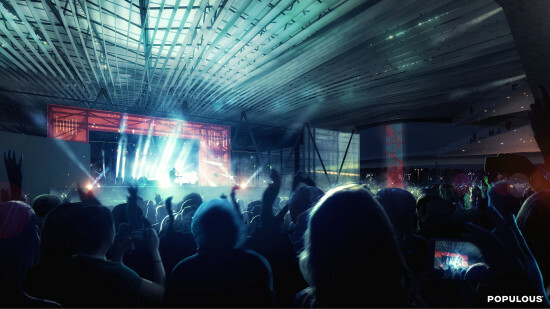 We see the concourse as more of a place for social migration and entertainment,” Mirakian told AN. “Sightlines are very different in esports events, and fans want to be higher up in the seating bowl instead of closer to the stage so they can see the screen more clearly. 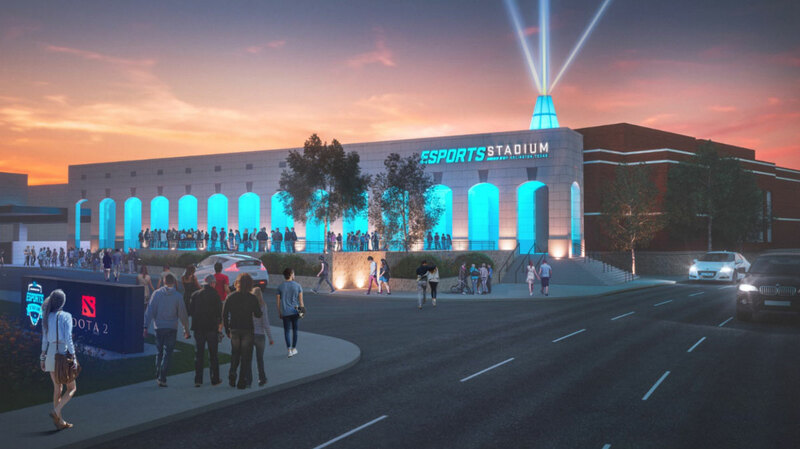 The demographic is different, the demands are different, and the premium experiences are different.” Esports Stadium Arlington is expected to open later this year. The West Coast’s ginned-up professional sports team expansion atmosphere has finally spread to Seattle, where Los Angeles–based developer Oak View Group and architects Populous are looking to renovate the city’s storied KeyArena with the hope of bringing several professional sports teams to town. After years of trying to build a totally new stadium in a different neighborhood in anticipation of a new National Hockey League (NHL) franchise, city leaders changed course in 2017, opting instead to greenlight the renovation of the historic KeyArena complex. The change of plans worked—after the city approved the renovation plan, the NHL announced it would bring a new team to Seattle for the 2020 season, cementing KeyArena as the lynchpin of a revitalized Seattle Center sports district. 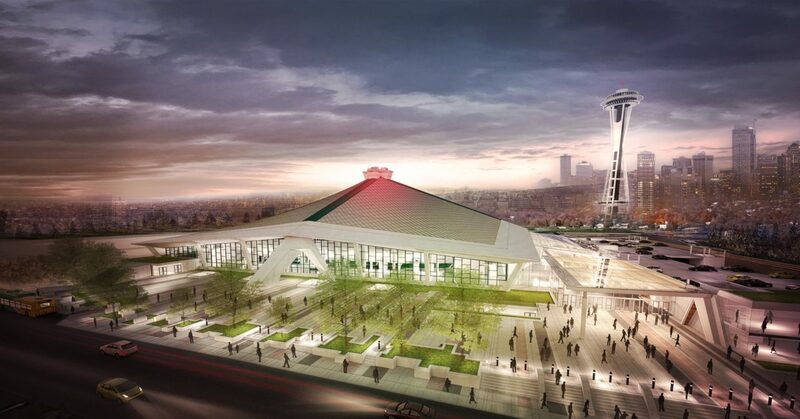 Populous will repurpose and expand the existing arena, which was designed by architect Paul Thiry in 1962 as the Washington State Pavilion for the Century 21 Exposition. The arena hosted the Seattle Supersonics NBA team until the franchise relocated in 2008. The arena is still in use, however, and currently hosts Seattle’s WNBA franchise, among other tenants. The arena was refurbished and expanded once before in 1994 by NBBJ when the architects dropped the arena floor 35 feet below street level and boosted seating capacity by 3,000 seats. Still, problems with inadequate sight lines from the stands, limited opportunities for concession offerings, few club spaces, and deferred maintenance lingered at the venue. With the forthcoming redesign, the architects are seeking to rectify those shortfalls while preserving the iconic spaceship-like structure by digging 15 feet further down in order to expand the facility to 600,000 square feet in size and add even more seating. 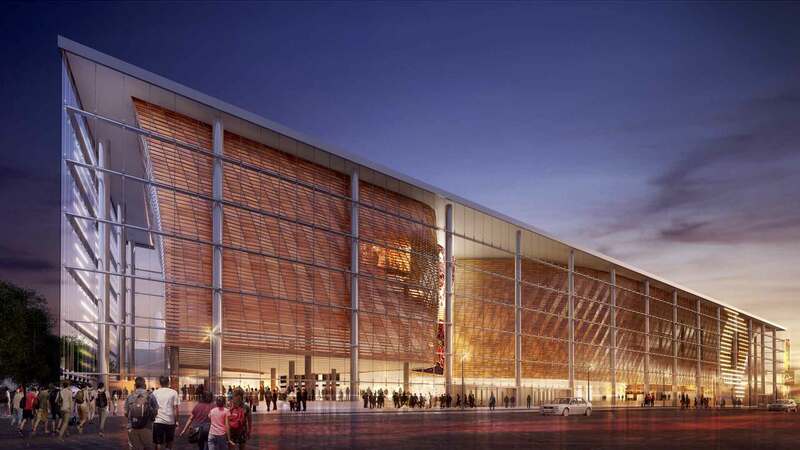 The new designs would create flexible seating configurations that will resolve the sightline issues while also providing enough seating to host the NHL team as well as the potentially forthcoming NBA team. 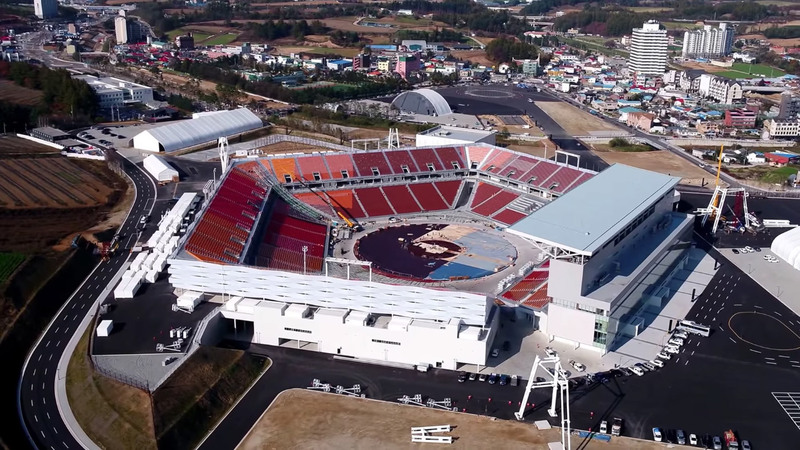 In all, the new arena is planned to hold up to 17,100 seats for hockey games, 18,350 seats for basketball games, and between 16,940 to 19,100 seats for music concerts. The project is billed as a top-shelf preservation effort as well, and will be designed to meet the historic preservation standards for building restoration. 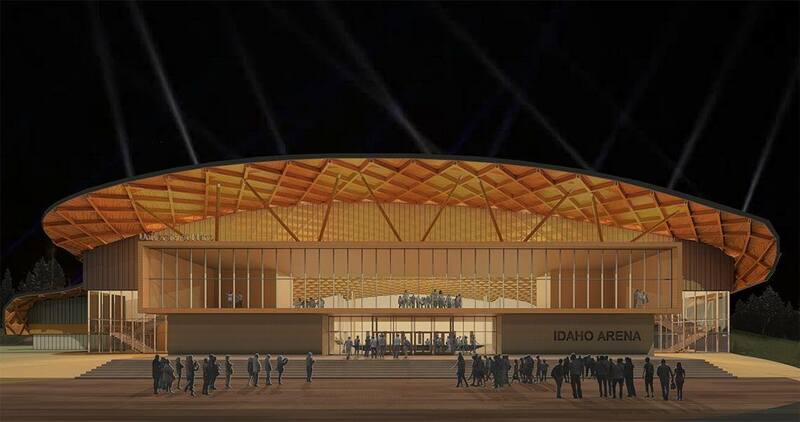 The end result will be a more-or-less wholly new arena, capped by a restored sculptural concrete roof. An environmental impact review is currently underway for the renovations. The City of Seattle hopes to finish the review sometime this year so that construction can commence and the renovated facilities can open in time for the 2020 NHL season. "Howzat! Edged and caught at gully trying to drive a dibbly dobbly over silly mid-off." If that made no sense to you, you're not alone. The weird and wonderful game of cricket is still yet to fully catch on in the U.S., but one developer, Jignesh ‘Jay’ Pandya, from Philadelphia, has his mind set on such an agenda, planning eight new stadiums across the country. The Atlanta metro area, The District of Columbia, Florida, Texas, the New York City metro area, Illinois, and California, are the shortlisted regions Pandya is targeting for new cricket teams. In a big step toward realization, he and his firm Global Sports Ventures (GSV) have joined forces with JLL's Sports and Entertainment Group to build eight stadiums in U.S. cities by 2020, forming a new American professional cricket league. For now, the only images that have been released show a mixed-used complex for a site somewhere in Atlanta. 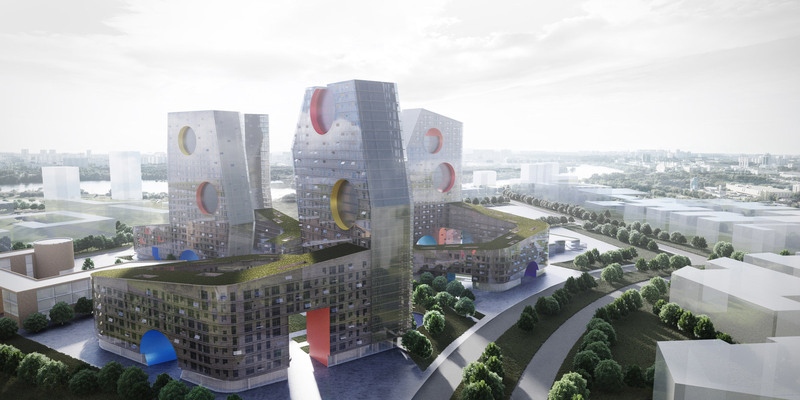 The scheme, if built, will include restaurants and residential units. The incentive, however, may be more financial rather than for the love of cricket. GSV has said these eight stadiums will be a $2.4 billion investment, resulting the in the creation of around 17,000 jobs. Each stadium is touted to cost between $70 million and $125 million to build, while specific sites are still being scouted out. Cricket, of course, is played in the U.S. and exhibition matches are hosted on baseball fields, but a professional league would require teams having their own stadiums to avoid congestion and clashing. Furthermore, a cricket field is usually circular. It is bound by rope or markers with a circumference of 1,411 to 1,545 feet—that's about 1.5 times longer than a baseball field. Spectator capacity follows a similar ratio. Dodger Stadium in Los Angeles can hold 56,000, whereas the Melbourne Cricket Ground in Australia has a capacity of 100,024. The real test, however, will be getting people to actually go, and even more pressing will be television coverage and lucrative sponsorship deals. According to 11Alive, a news broadcaster in Atlanta, only 35 percent of viewers said they would not attend a cricket game in the city. This answer, however, may relate to the growing Indian population in the U.S. Already hugely popular in India, Pakistan, and much of South Asia, Pandya believes the immigrant communities from those regions could become a strong base of supporters. Evidence for this lies in the fact that ESPN covers the Indian Premier League (IPL)—a cricket league that is admittedly the world's most popular—with a service costing $29.99 for the 2017 season. “We know our plans are ambitious, and GSV is committed to launching a professional cricket league in the U.S. by 2020,” Pandya told WXIA. The IPL runs a fast-paced 20 over (160 "bowls"—a.k.a. pitches) format of the game, known as "Twenty20." This is the fastest way of playing the game. While the sport is complex, history suggests that changing the rules to placate American audiences does not work. This can be seen most emphatically with soccer in the U.S. as recently as 20 years ago. Pandya's story sounds eerily similar to Jim Paglia's, an entrepreneur who, in 1993, had plans for a new soccer league in the U.S. He proposed 12 new soccer stadiums in American suburbs, initially targeting eight cities: Chicago, St. Louis, Boston, New York, Atlanta, Dallas, Washington, D.C., and Orlando, Florida (the parallels continue). Until then, soccer in America had had a tumultuous time of it, with soccer leagues—both indoor and outdoor—starting and failing. 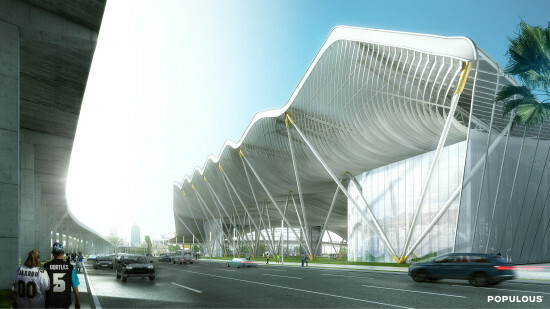 Paglia proposed that each stadium would be part of a larger complex, similar to Pandya's scheme in Atlanta. He also planned a much bigger change, altering the rules to "put a product on the field that would draw more [American] fans." The changes involved dividing the pitch with colored chevrons, limiting player movement, including more than two goals and various goal sizes, and having long-shots scoring more "points" than close-range goals. Further still, players would wear different colored jerseys based on position. "ProZone Soccer," as Paglia called it, failed spectacularly. However, soccer in its standard form based on British "Association Football" is now popular. Since the U.S. hosted the World Cup in 1994 and its women's team has had much success, soccer is now the third most-played team sport in America with more than 24 million playing the game at some level. Crucially, it is well watched too. Numerous broadcasters show many live MLS games and new stadiums are now such a hot topic that a U.S.-focused email newsletter titled "Soccer Stadium Digest," run by American architecture firm Populous, exists. 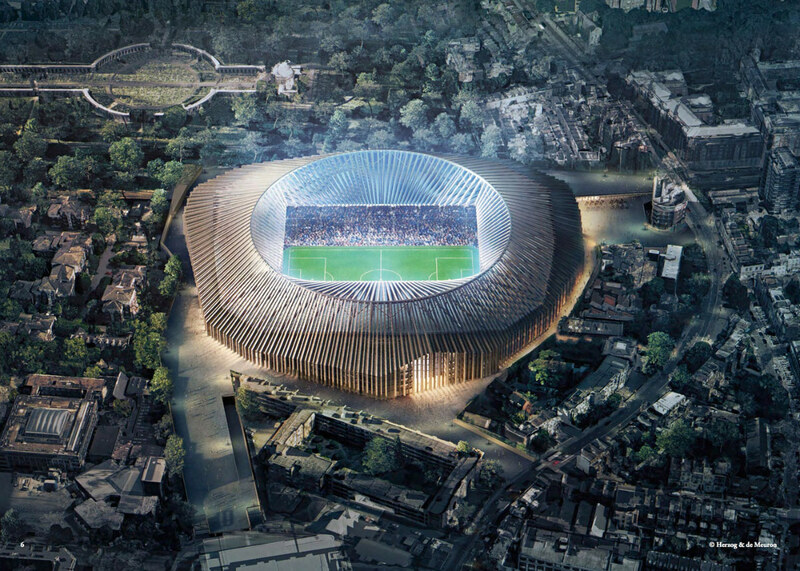 "There is the feeling in the industry that the leading firms are creating a uniquely American style of soccer stadium," a spokesperson for the digest told The Architect's Newspaper in an email last year. Architecturally speaking, aside from standard tiered seating, cricket grounds boast a unique typology: the cricket pavilion. The pavilion was once (and in many ways still is) a very British typology. Its Victorian ornamentation—a stylistic extension of the railway—is a common feature in any English town and has been emulated across the former colonies in India, Pakistan, South Africa, Australia, New Zealand, and Zimbabwe, all countries where cricket is hugely popular. It can even be found in Philadelphia with McKim, Mead & White's Germantown Cricket Pavilion which still stands today. Cricket in late 19th- and early 20th-century Philadelphia, however, was quickly usurped by lawn tennis. The colonial inflection is a hallmark of the game's roots, going back to Lord's Cricket Ground in London which opened more than 200 years ago, though it's no longer present in modern stadiums. It was at the Lord's Cricket Ground—the supposed "home of cricket"—that a new spaceship-like addition breathed fresh air into the stadium. 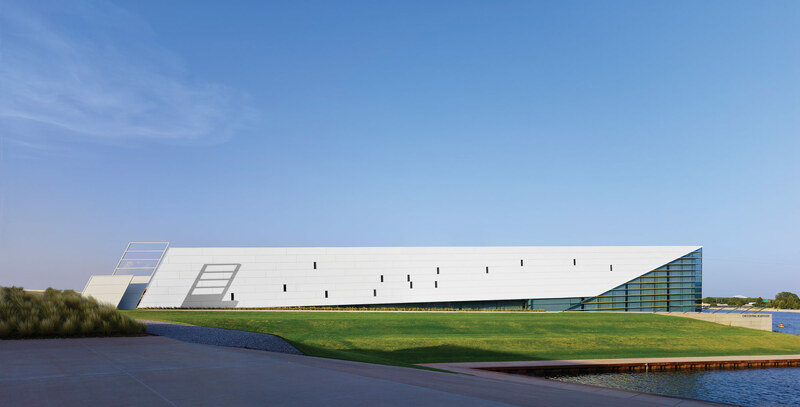 Jan Kaplický, David Nixon, and Amanda Levete's Future Systems delivered the Lord's Media Center—, which won the RIBA Stirling Prize in 1999. 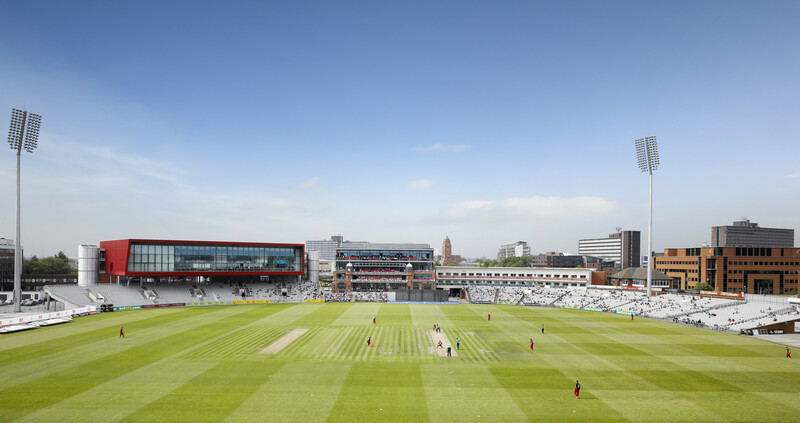 Though that was nearly 20 years ago, that and the more recent addition to the Emirates Old Trafford Cricket Ground in Manchester by BDP Architects suggest there is room for innovation and modernity in cricket stadium design. For Pandya to succeed, he needs time. In the opinion of this author, eight stadiums by 2020 is a tall order, but the marketing spiel of offering Twenty20 cricket by 2020 is indeed catchy. Along with that form of the game, Pandya also needs to bank on the longer versions becoming popular as a result. One day games (40 overs each) and five-day tests, where both teams bat twice, are commonplace. Moreover, even after time is up, the result can still be a draw. He also needs to stick to the rules. Changing the laws of the game? Well, that's just not cricket. 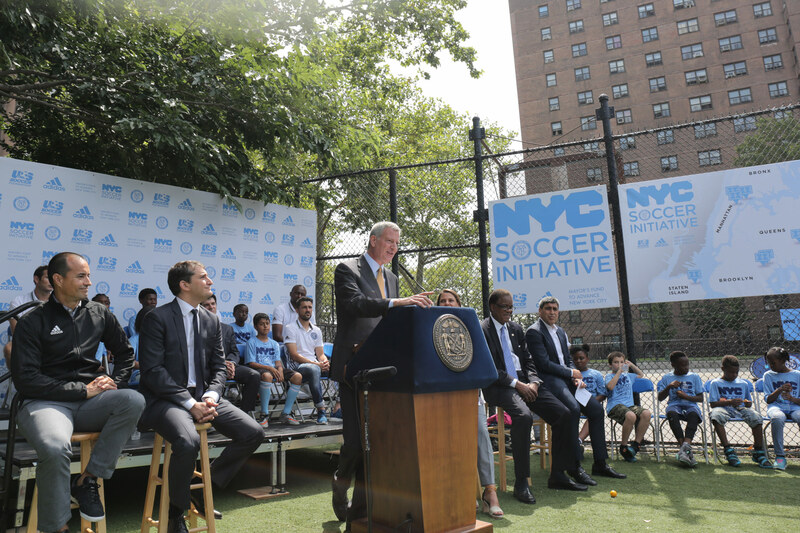 New York City's five boroughs are in line to take a share of 50 new soccer fields over the next five years courtesy of the U.S. Soccer Foundation, Adidas, city government, and New York City F.C. The project, with an expected cost of $3 million, aligns with the aims of the U.S. Soccer Foundation to boost participation in healthy activities among youths. According to the New York Times, Mayor Bill de Blasio is set to name Millbrook Playground in the South Bronx as the location for the first of eight fields. Here, a rundown play area will make way for an artificial pitch comprised of synthetic fibers which will be able to be used all year round. Other fields will also be placed in and around various depressed neighborhoods as the projects hopes to reach out to up to 10,000 children. The fields are due to come to $750,000—a figure that will be offered by the four partners—meanwhile the rest of the total amount will go to maintaining the fields and extracurricular activities that will take place there. With underserved communal spaces, having been identified for soccer field placement, first in line are Cypress Hills Houses in Brooklyn, the Eagle Academy on Staten Island, Public School 83 in Manhattan, and Millbrook Playground.